Mr Horrocks’ Biology – D4. What makes for a healthy heart? Objectives: Understand how to maintain a healthy heart. This may prolong your lifespan. 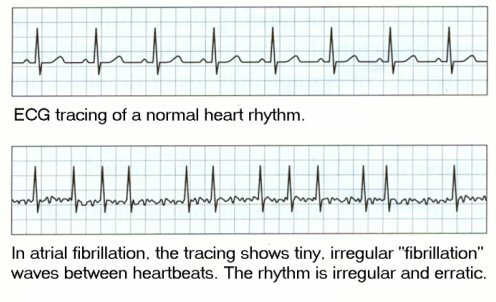 Learn THE BASICS of how to diagnose heart murmurs, hypertension and abnormal Electrocardiogram signals. First. A basic test to assess the fitness of your heart. Lifelong. What causes heart recovery rate to vary? A heart that has been developed by plenty of cardiovascular exercise will have an enlarged chamber size and thicker and healthier chamber walls. This will increase stroke volume (volume of blood pumped in ventricular systole). A stronger heart will be able to meet the oxygen demands of the body more easily, leading to faster recovery times. Blood pressure should be 120mg of mercury for ventricular systole and 80mg of mercury for diastole on average at rest. High blood pressure, of hypertension, is linked to stress, excess salt intake, high intake of fatty acids in the diet, smoking, and alcohol abuse. Cortisol is a hormone related to stress. It prepares the body for action, a little like adrenalin. High levels of cortisol demand ‘release’ by some sort of action, or they lead to chronic anxiety. Low blood pressure, or hypotension, is linked to poor blood circulation and weak heart function. Both hypertension and hypotension can be combatted by regular aerobic exercise. If an aneurysm or thrombosis happens near the brain, a stroke may be the result (oxygen shortage to part of the brain). Demonstration: the basics of using a sphygmomanometer to self-diagnose blood pressure. Q) When do the atrioventricular valves, and the semilunar valves, close? This causes the classic heart sounds. Demonstration: Listen to your heart beat with a stethoscope to check your heart sounds healthy. A defibrillator re-sets the cardiac cycle by administering a strong electrical impulse across the heart. This requires training in the correct use. 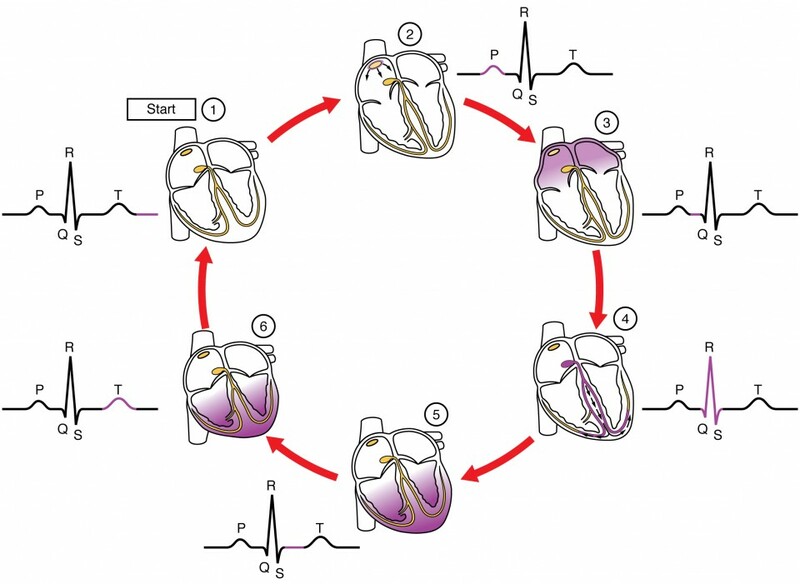 How is heart muscle adapted to propagate stimuli? Cardiac muscle cells are joined by specialised junctions called intercalated discs, that consists of a double membrane with gap junctions where channels of cytoplasm stream from one cell into the next. This speeds up impulse transmission. 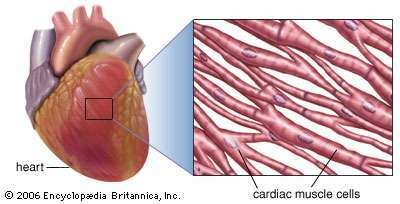 Like skeletal muscle, cardiac muscle is divided into muscle fibres and sarcomeres. 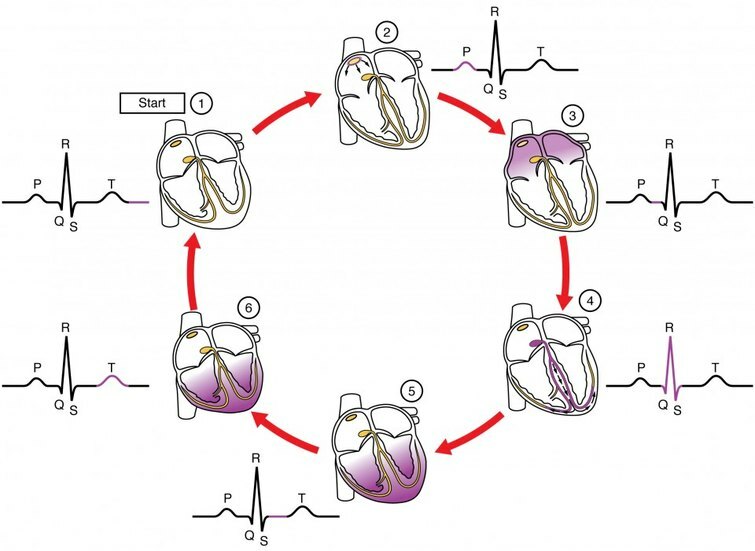 The Sino-Atrial node consists of a group of modified structured cardiac cells that spontaneously initiate action potentials without stimulation from other nerves. Because of the gap junctions, the impulses spread rapidly across the cardiac cells as if they were one cell. Q) Name two stimuli which cause the SA node to speed up the rate of contractions. An artificial pacemaker can be surgically fitted to patients with a faulty SA node. There are different types of artificial pacemakers, the most basic monitors the heart rhythm and when heartbeat is not detected, it stimulates the cardiac stimulation just like a real pacemaker would.